Sunday was a special day for Tony Parker after taking the 18th spot in NBA’s All-Time Assist standings. 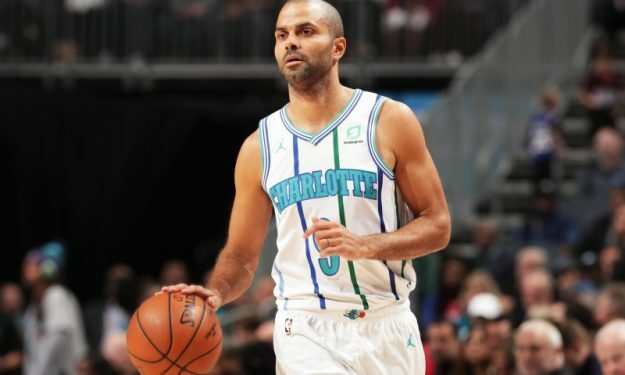 Tony Parker dished five assists in Charlotte Hornets’ loss to the New Orleans Pelicans on Sunday. He almost matched his NBA career average of 5.7 dimes per regular season game. However, he did pass Guy Rodgers in the All-Time Assist list. He now sits at 18th place. The 36-year-old point guard has posted 90 assists with the Hornets this season, but made the rest of his 6,919 with the San Antonio Spurs since 2001. He will likely climb up a few more spots during his 18th NBA season. He only needs 36 to reach Bob Cousy, while 16th Tim Hardaway finished his career with 7,095 assists.